Dr. Vaidehi Tandel is Junior Fellow at IDFC Institute, Mumbai. She has a Ph.D. in Economics from the Department of Economics, University of Mumbai. She was a postdoctoral visiting scholar at Columbia University, New York. She has published co-authored papers in peer reviewed journals and has co-authored a chapter in an edited book on the Indian Economy. 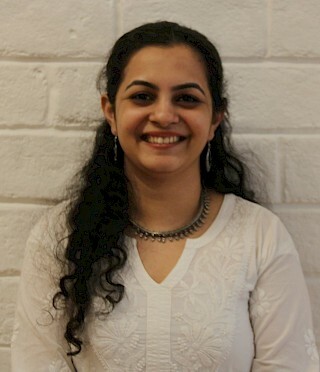 She has worked on projects commissioned by the Lincoln Institute of Land Policy, World Bank, Ministry of Urban Development, Government of India, and Municipal Corporation of Greater Mumbai. Her research interests lie in the areas of New Institutional Economics, Urban Economics, Urban Planning and Land Governance, and Political Economy. For slum housing policies to be truly inclusive, the State must recognise diverse tenurial arrangements. Construction projects under litigation have approximately 22 percent longer completion times compared to projects without litigation in Mumbai. Ease of doing business depends largely on State-level initiatives. Such surveys will enable governments to address pain points.